A MAN was left fighting for his life last night after he was assaulted on the way home from an evening out. The victim, named locally as David Kirwan (28), is also a carer for his brother. 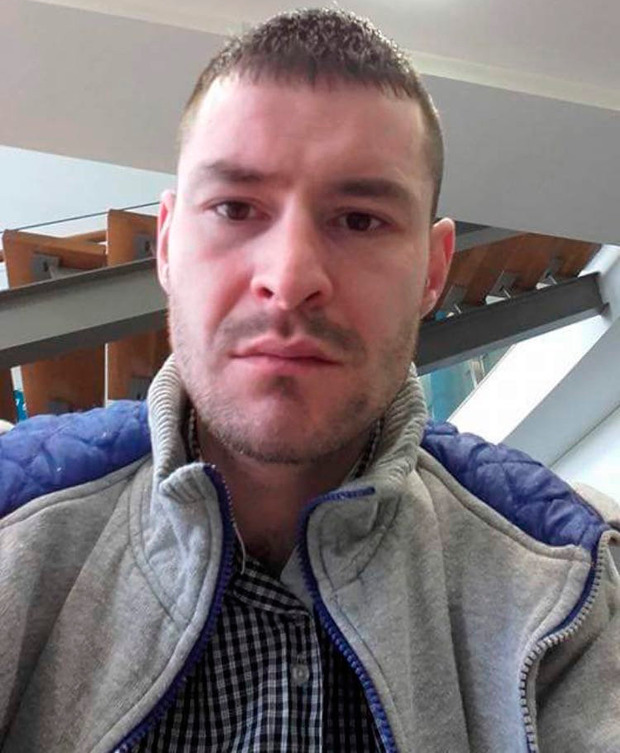 He was walking towards his house on Rowan Grove in the Fassaroe area of Bray with a friend in the early hours of yesterday when an argument developed between the two at James Everett Park on the outskirts of the town. The disagreement became heated and Mr Kirwan was attacked and beaten by the other man, gardai believe. The man helped raise the alarm and remained with the victim. A large bloodstain could be seen on the paving yesterday at the spot where Mr Kirwan had collapsed. James Everett Park ends in a cul-de-sac at the point where the attack took place, but pedestrians are able to walk through it to a local shop and into the Fassaroe area. Gardai believe Mr Kirwan and the second man were taking the popular shortcut, having being out socialising earlier in the night. "It appears that a row broke out and Mr Kirwan was assaulted and injured as a result," said a source. "The man who attacked him, who is not related to the victim, stayed at the scene afterwards and helped raise the alarm. "He was then arrested for questioning." Local people helped Mr Kirwan until the emergency services arrived and he was rushed to St Vincent's Hospital. It was later decided to transfer him to Beaumont Hospital which specialises in head injuries. His condition was described last night as critical. It is not clear if the injuries suffered by Mr Kirwan are as a direct result of the attack on him or if he hit his head on nearby railings or paving as he fell. The scene was sealed off by gardai pending a forensic examination by members of the garda technical bureau. Officers carried out house-to-house enquiries throughout yesterday afternoon. Searches of the area also took place in the vicinity of the crime scene and the local shop and streets leading to the surrounding housing estates. Locals reacted with shock and disbelief when they awoke and saw the garda cordon beside a local shop. "David and his brother live locally in a bungalow. They haven't been there that long and are doing it up slowly," said one neighbour. "Everyone is absolutely shocked by this. "They keep to themselves mostly. We just see them coming and going." Another local resident said the area was generally quiet. "It seems that some locals were alerted by noise on the street outside and came to the victim's aid when they saw what had happened," said the neighbour. "We saw the man lying on the path and people trying to help him. He didn't seem to be moving." Another neighbour said: "The ambulance came and the crew worked on him before taking him away." Gardai have launched an appeal for witnesses. They particularly want to hear from anyone with information who was in Bray town centre and the Little Bray, Fassaroe and James Everett Park areas between 1am and 2am to get in touch. They can be contacted at Bray Garda Station on 01 6665300, the Garda Confidential Line, 1800 666111 or any Garda station.